Procurement has the opportunity to deliver a personalized, exceptional user experience while still reducing costs and increasing negotiation power using advanced data and analytics to inform decisions. Having access to systems of record enables personalized travel recommendations based on user profile data, identified travel preferences and historic travel patterns. Estimated travel costs are based on user profile and historic expense reports. Business travelers can safely authenticate transactions with Touch ID. 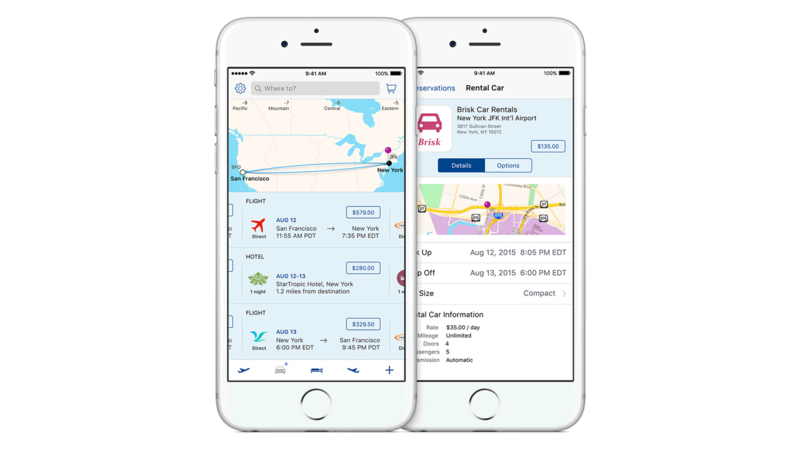 Travel Plan helps business travelers to plan their business trips in a simple and intuitive manner based on personal preference settings and organizational policies.